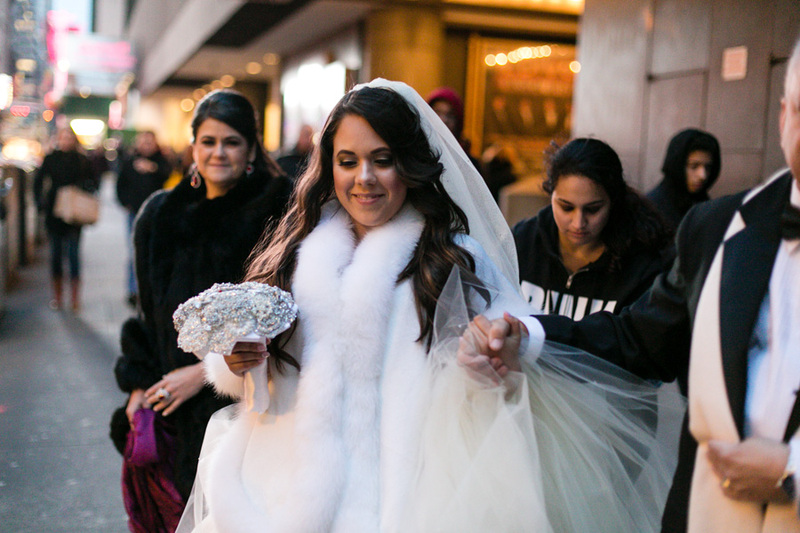 You have most likely put a lot of thought into what you’re going to wear on your wedding day, but do you have a contingency plan to protect that glorious outfit if there’s say a blizzard or an unending deluge of rain? The type of weather you might be dealing with depends on the time of year when your wedding is taking place. You don’t have to change your outfit – just throw your weather gear on top! Shawls or cover ups for the ladies, and coats for gentlemen. Rain/weather boots you can slip on for outdoor travel or (read more below) photos embracing your wedding weather. Oh, and umbrellas. Having umbrellas on hand is very helpful. 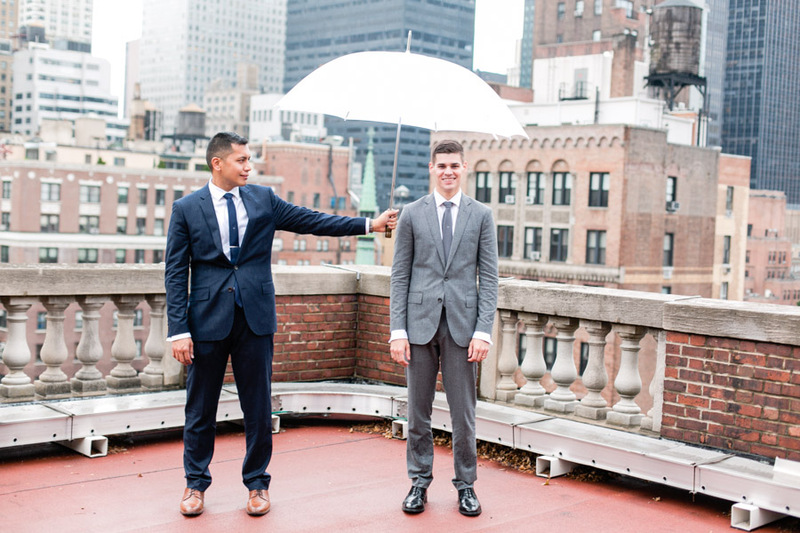 I also recommend white or clear umbrellas if you plan on using them in photos (because colored umbrellas can reflect the color onto faces and clothes, causing weird color issues). Planning an outdoor ceremony? 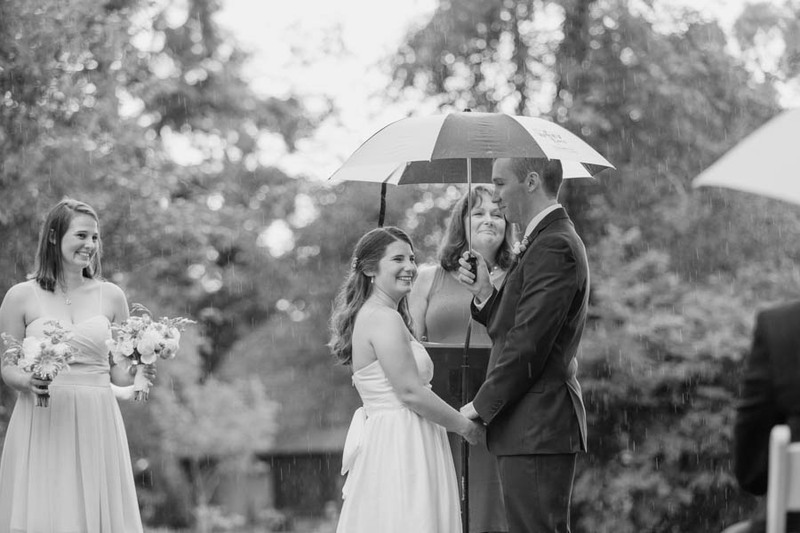 ALWAYS have an indoor (or covered) ceremony location option in the event of bad weather. You should ALSO have some indoor options for photos (says the wedding photographer) in case the weather doesn’t cooperate. I’m sure you want to have a beautiful outdoor location for your photos. I understand. I would want that too. But, putting some thought into where you can take photos inside (and consider the size of your wedding party / family groups when choosing those locations) can save a lot of headache and delays on the day of the wedding if bad weather springs up. Plus, you’ll be assured you have a location that you like and not just what happens to be available at the moment. The weather is bad? Embrace it! Use it! Make great photos with it – as long as it is safe to do so. I am going to reiterate that – DO NOT do something unsafe just to get a photo in bad weather. 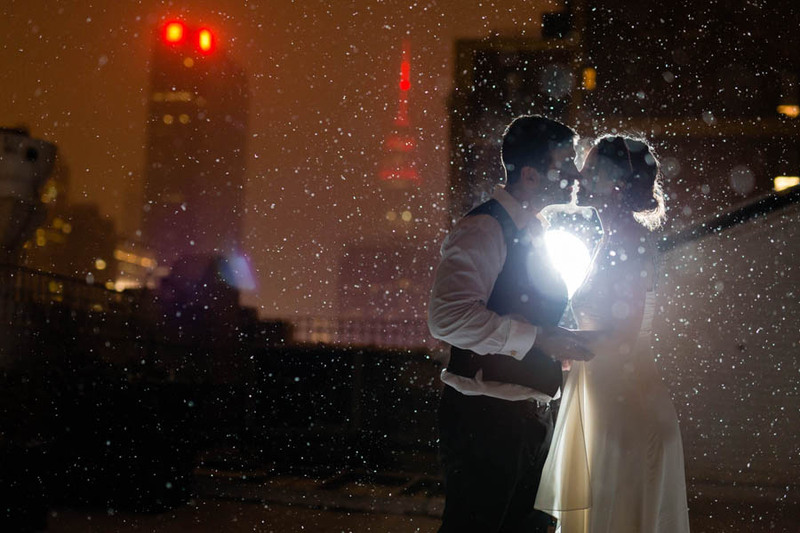 I am happy to go out in the rain or snow with my couples and commemorate their wedding day weather with amazing pictures.